L’biotica Biovax Bambus & Avocado Repairing Hair Oil strengthens, rebuilds and lightens. 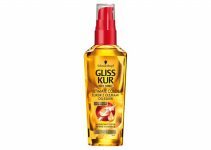 It protects strands from mechanical and chemical damage, increases gloss, prevents hair from falling out and brittling, smooths and softens. 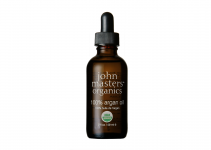 What is more, the product protects from free radicals, strengthens hair bulbs, rebuilds damaged strands. 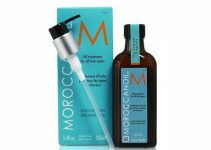 How to use L’biotica Biovax Bambus & Avocado Repairing Hair Oil? You apply the oil after washing and towel-drying the hair. Rub the product from mid-lengths and into ends. One pump is enough to condition your hair. If you use too much of the oil, you can overburden your hair and make it greasy. What ingredients does L’biotica Biovax Bambus & Avocado Repairing Hair Oil contain? It includes: bamboo leaf extract, bamboo shoot oil and avocado oil. One of the ingredients is rich in flavonoids, the second one in vitamins and minerals whereas the third one – omega-3 fatty acids. 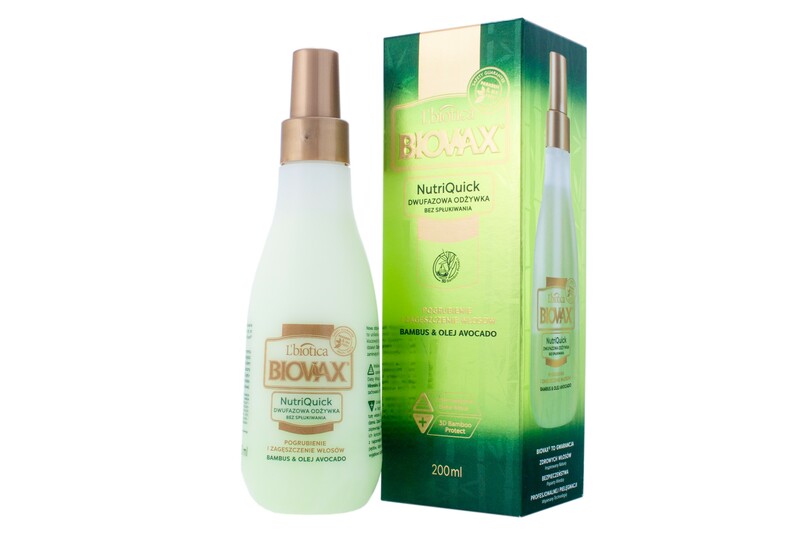 Useful information: L’biotica Biovax Bambus & Avocado Repairing Hair Oil comes in a 50 ml bottle. It has a delicate and sweet aroma, and light yellow colour. The consistency is quite greasy and oily. Fun fact: Bamboo oil and avocado oil make an interesting combination. The first one conditions long and thick hair whereas the other one provides it with seven vitamins: A, B, D, E, H, K, PP.